Keto Guacamole Recipe - Easy Homemade Avocado Dip - DELICIOUS! Keto Guacamole (no sugar added) is the perfect way to get fiber and potassium into your diet. Unfortunately, many store-bought guacamoles have sugar added. 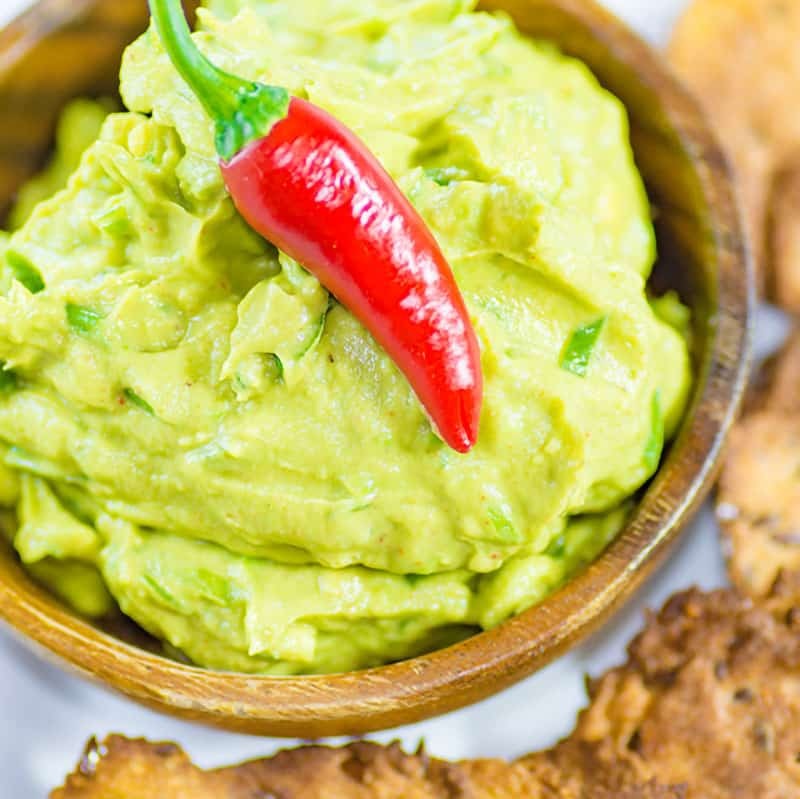 This recipe is the perfect avocado dip with our Low Carb Flaxseed Crackers – you just can’t get enough! This low-carb guacamole recipe makes 3 servings, the recipe card reflects 1 serving which is 1/3 of the total recipe. Split the avocados and remove the seed. Scoop the flesh into a bowl and add lime juice. Mash the avocado with a fork until only small lumps remain. 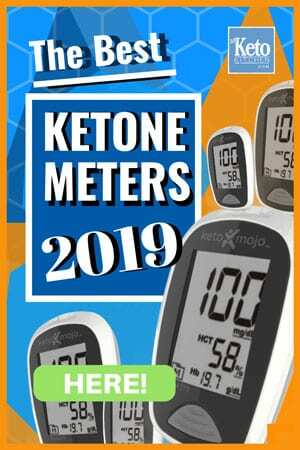 Serve with Low Carb Flaxseed Crackers or Keto Pepperoni Chips. Avocados are a great source of fat and fiber for those on a Ketogenic Diet. 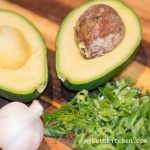 One great way to get more "avos" in your diet is to make our Keto Guacamole! Spilt the avocados and removed the seed. Scoop the flesh into a bowl and add lime juice. If you want to make a larger batch of Keto Guacamole recipe adjust the servings in the card above. Very delicious and easy to make! This was so good that I could eat it straight out of the bowl (no dipping needed). I didn’t have lime juice so substituted that with lemon juice. I also added about a tablespoon of deli-style salsa in place of the cilantro and scallions. I accidentally omitted the sour cream, but it was so good that I decided not to add it. Thanks you for the recipe! Glad you enjoyed it Rhonda. Thanks for stopping by!